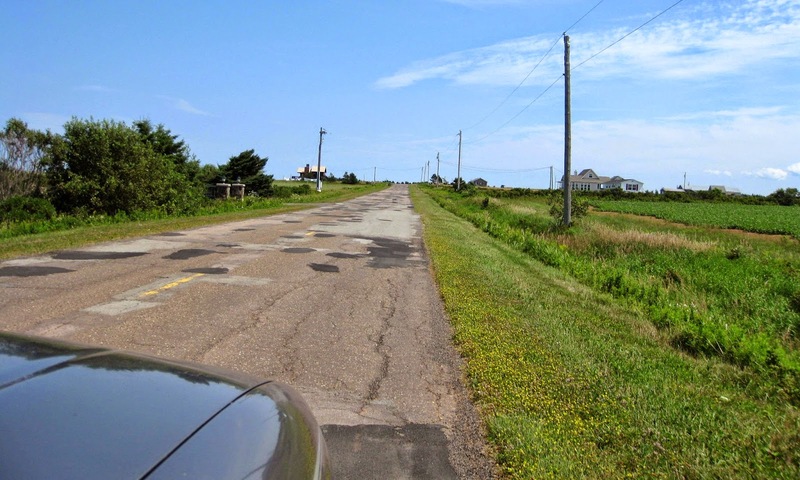 Excursions like this along North Cape, Prince Edward Island were central to our travel plan. 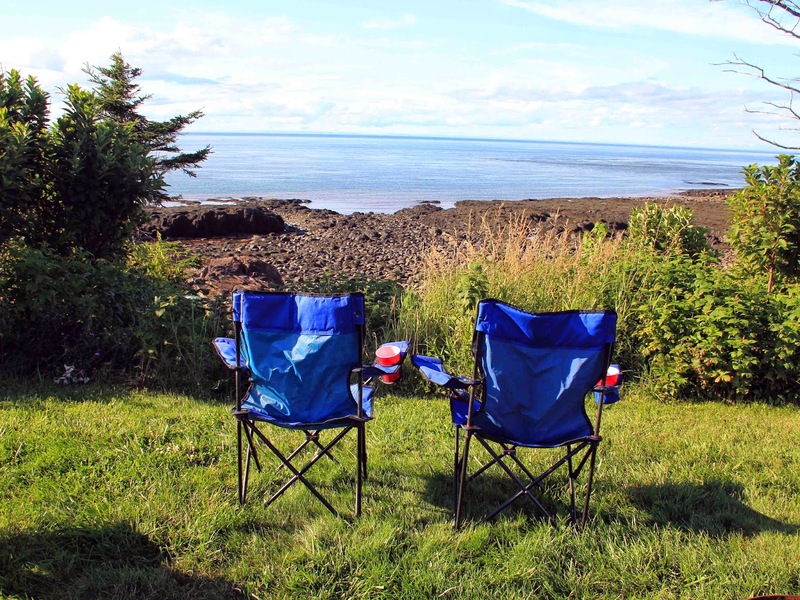 We began our road trip to the Canadian Maritime Provinces on July 18 with no more of a specific plan other than to simply travel north, to stop when we wanted, and to continue as long as it interested us. This was an open plan, and as much as possible, we were going to stick with it. 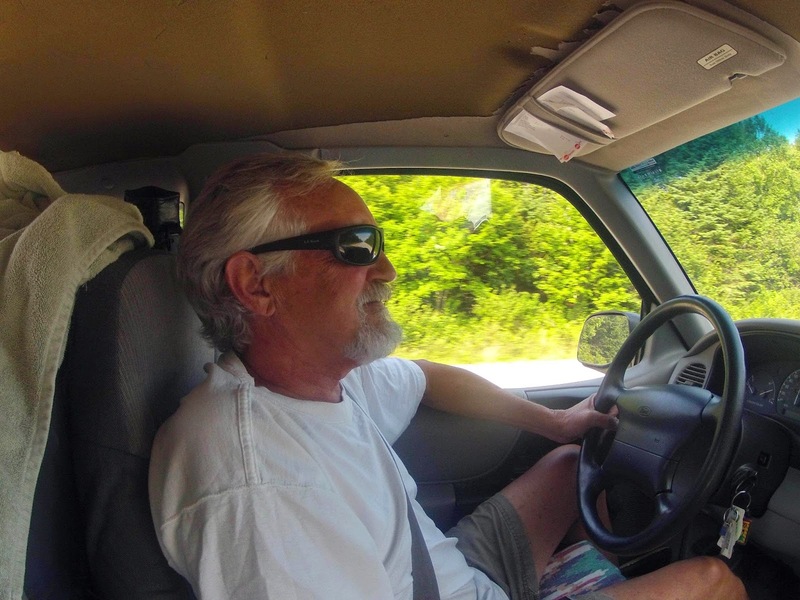 We realized there were many similarities with traveling in the old pickup and cruising on Layla. 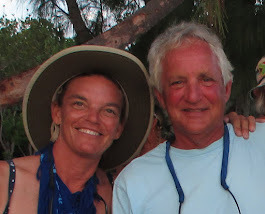 Among the similarities, we adopted the roles that had served us well on the sailboat. Tracy was the navigator, directing the voyage, and I was at the helm, driving Miss Tracy. We embraced a typical daily routine of discussing where to go during our morning meeting - sitting in camp with a cup of coffee. Tracy reviewed and presented options for routes that might include “must see” attractions, interesting side roads, places to avoid, and where we might stop for the evening. In our previous work-a-day lives, morning meetings were never this much fun. Site of our morning conference in Parker's Cove along the Bay of Fundy, Nova Scotia.With no schedule and views like this, we always had the option to stay another day. As we eased into wandering the highways and the country roads without a schedule, the stresses that often accompany travel began to disappear. Each day offered something new, something unexpected and we were eager to see what was next. We discovered the adventure that is often missing in modern rapid-paced travel obsessed with strict itineraries and rushed stops at the obligatory roadside attractions. ...And some roads were simply breath-taking. We are reviewing where we went and what we saw, and we expect to discuss selected adventures in coming posts. The odometer on the old pickup hasn’t worked for several years so we can’t give a precise accounting of how many miles we actually traveled. 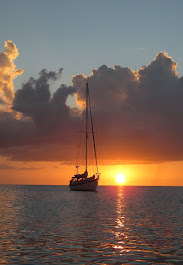 As a quick review, we began in Morehead City, North Carolina traveled through Virginia, Maryland, Delaware, New Jersey, New York, Connecticut, Rhode Island, Massachusetts, New Hampshire, and Maine. 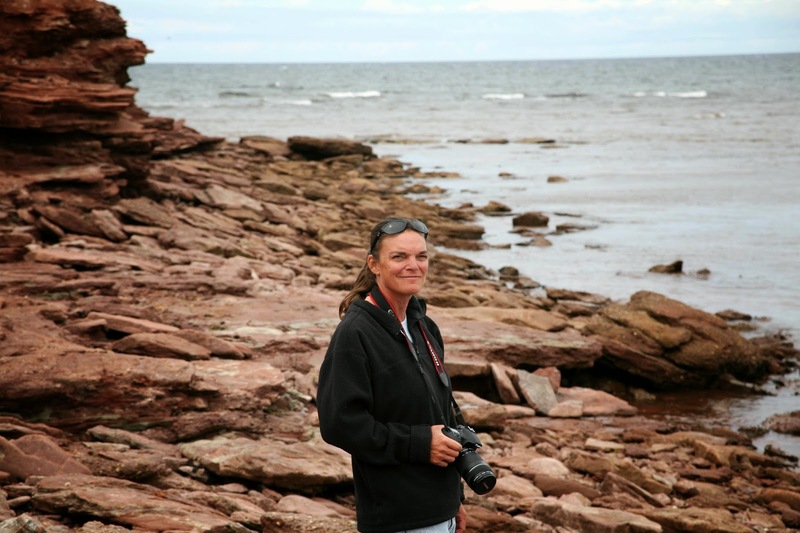 In Canada we visited New Brunswick, Prince Edward Island, and Nova Scotia. Our return loop back to North Carolina included travel through the Shenandoah Valley, adding Pennsylvania, and West Virginia. 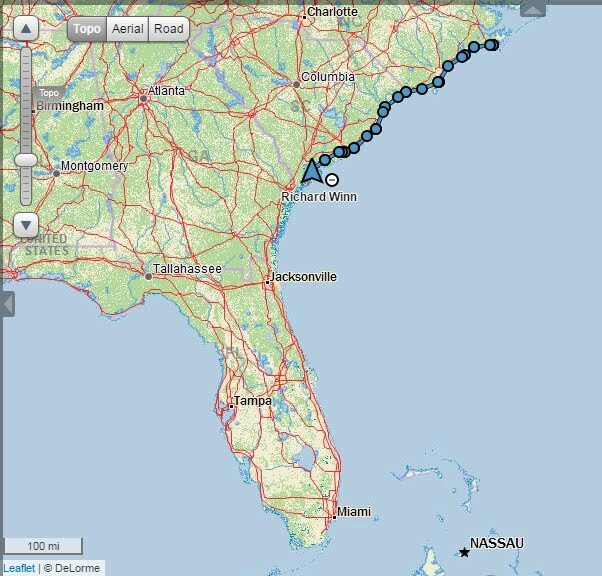 From a quick tally using Google maps, we calculate our round trip probably covered over 5,000 miles. But, of course, the mileage only tells part of the story. 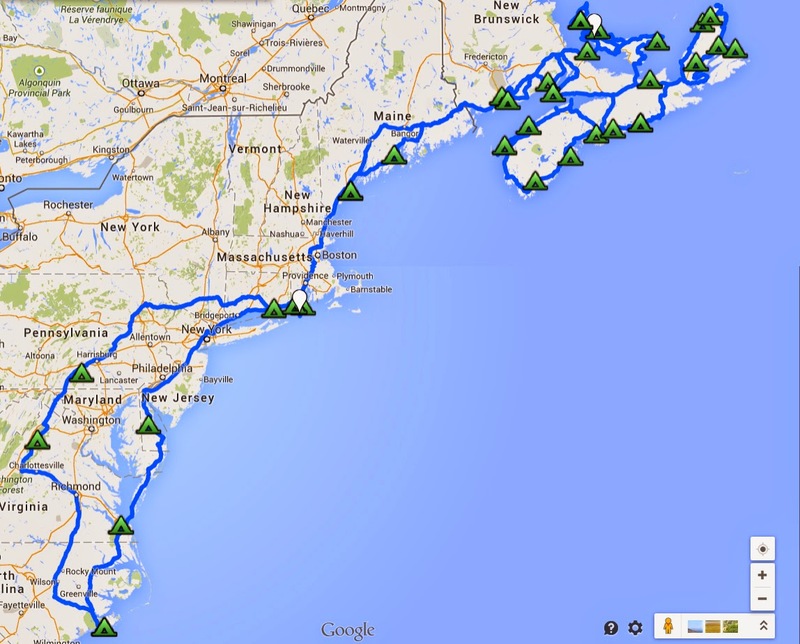 Our journey of 39 days to and from the Maritime Provinces.